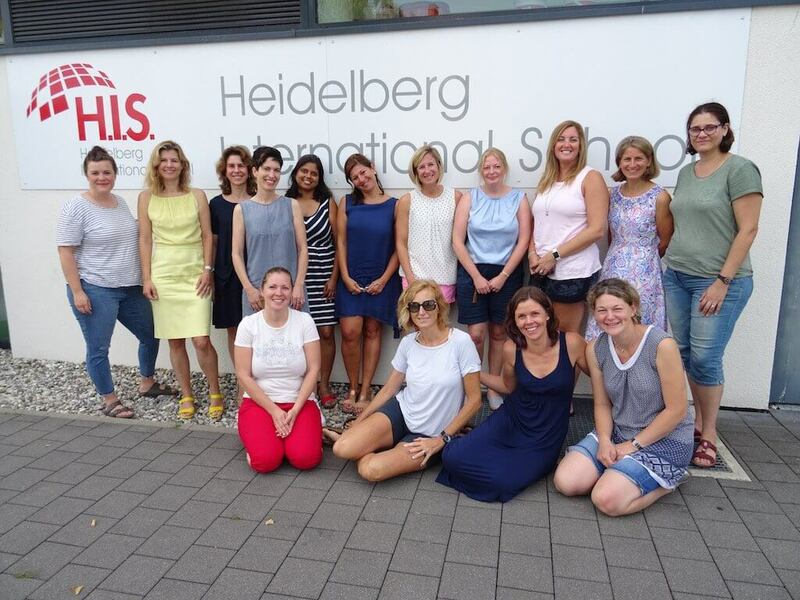 The Parent Teacher Group (PTG) Planning Team is looking forward to organise events for the H.I.S. community this school year. Good to see you, Tatsuki! 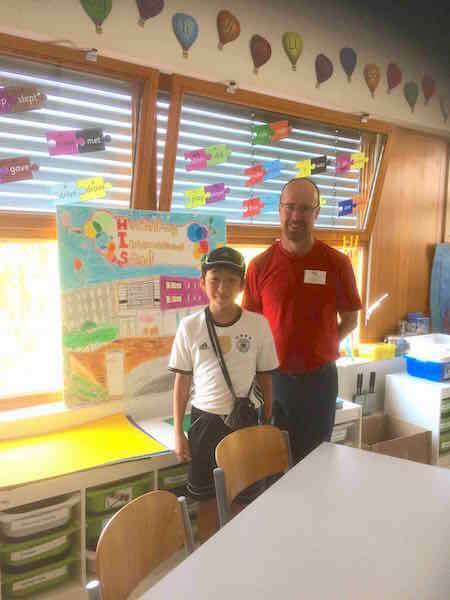 It was great to see Tatsuki and his mother back in Heidelberg. 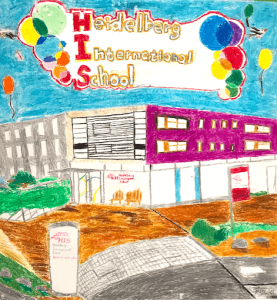 They have been on holiday here and came into H.I.S to visit Tatsuki’s friends and former teachers. Tatsuki finished Grade 3 at H.I.S.before returning to Japan and will be starting Grade 5 in September. 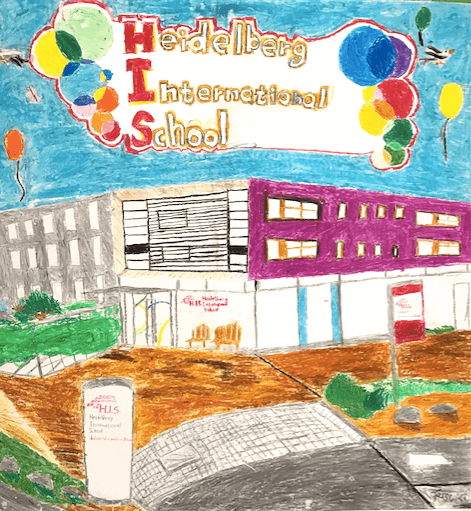 He is a terrific artist and he can be seen in the photo next to his drawing of H.I.S., which he donated to the school before he left. Thanks for coming by to see us Tatsuki. 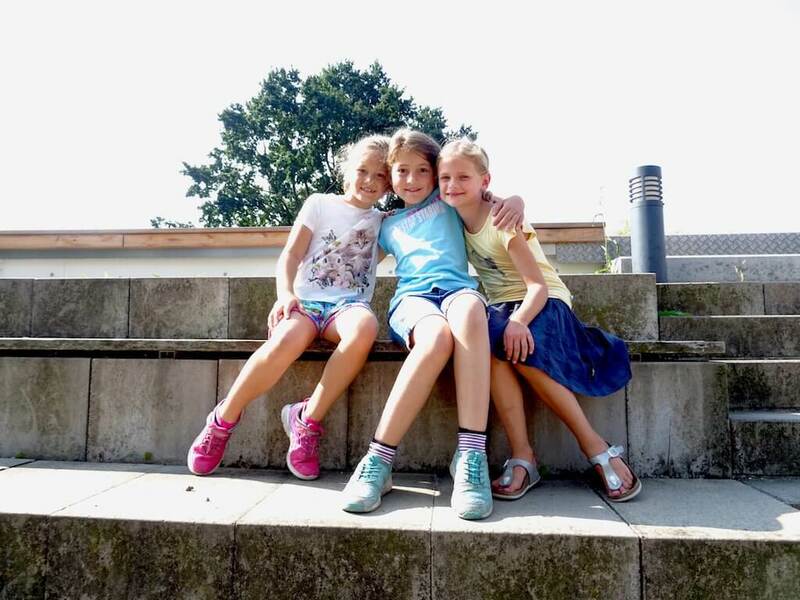 We wish you every success in Grade 5. Sunflowers were bending their heads low on the H.I.S. playground as if to salute returning and new students today. 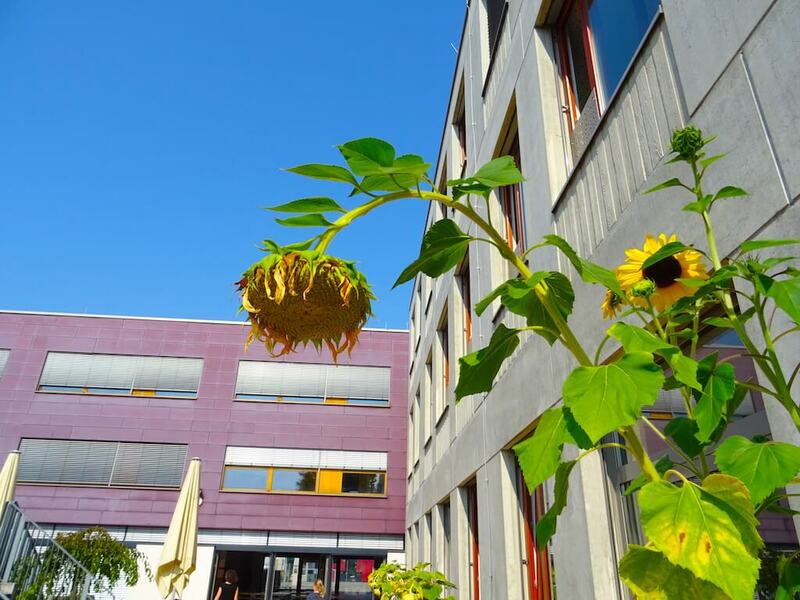 Summer has not quite left Heidelberg, yet, and we look forward to its sunny finale. Old friends and new classmates met today to exchange stories about summer adventures. 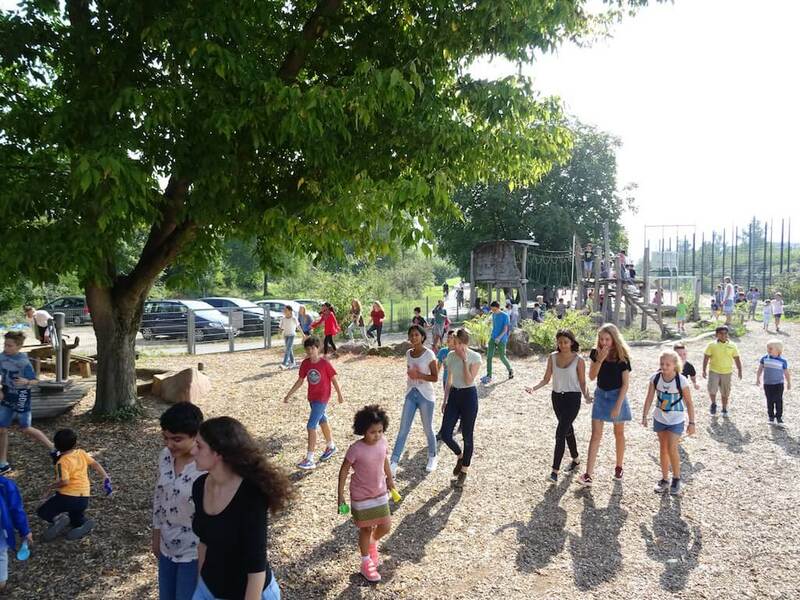 After having spent time with their Classroom and Homeroom Teachers students were welcomed at the first assembly of the new school year before they enjoyed the sunshine at morning break time and their first lessons with their teachers afterwards. 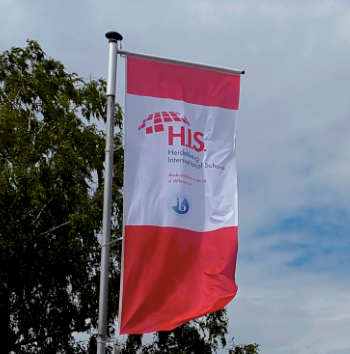 H.I.S. wishes all returning and new community members a fantastic start into the school year 2017-18. The hand mill for the MCP project in Mayana was delivered by H.I.S. staff and students this summer. It was assembled at the Guesthouse in Mayana and immediately tested by the local community. 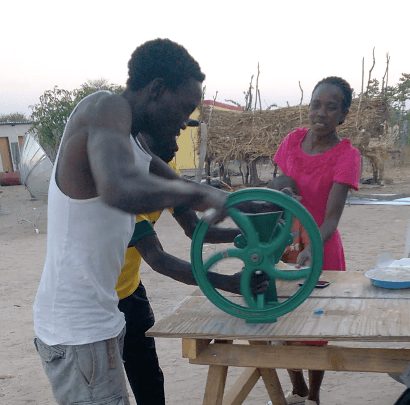 Although small, this simple machine will make an enormous impact in the lives of those who live in the village and in the surrounding area. See the mill beging tested on the H.I.S. Facebook page! Remember to bring your summer back to school!